We identify the Antichrist as the papacy. This is an historical judgment based on Scripture. This anti-Catholic position has led some to criticize Bachmann for being part of the denomination and raised questions about why she left when she did. 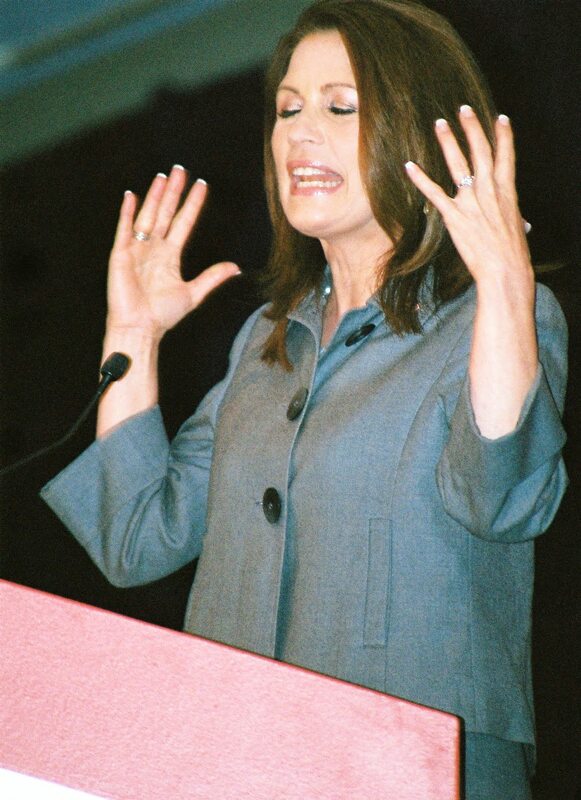 Later in July, the New York Times reported that Bachmann now attends a congregation affiliated with the Baptist General Conference (which is the same denomination that fellow Minnesota Republican presidential hopeful Tim Pawlenty's church is part of). Bachmann claimed they left because they moved. However, their new house is closer to their old church than their new one. The switch's timing, thus, raised questions that Bachmann left for political reasons. After all, President Barack Obama faced attacks during the 2008 campaign because of controversial comments by his longtime pastor (see post here) and 2008 Republican presidential nominee John McCain faced attacks because of endorsements he received from controversial televangelists. Such attacks on presidential candidates because of their church ties are a symptom of our age of confessional politics . However, it should not matter where Bachmman or other presidential candidates attend church (or if they do not). Regardless of whether Bachmann is Lutheran or Baptist, she should be judged on her policies and competency and not her piety. Hopefully she changed churches for spiritual--and not political--reasons. However, regardless of where she attends, she should be judged on political--and not spiritual--standards. The controversy over her former denomination and her change in churches should not be an issue in the presidential campaign.